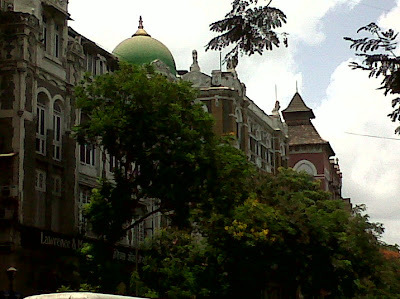 Although it was a hot and sultry afternoon our yearning to try something new has made us walk down the bylanes towards the Sterling Cinema near Victoria Terminus Station. The walk wasn’t bad actually as the roads were lined up with trees which cast a cool shade. We walked past beautiful old buildings built during the British Raj which houses offices of multinationals and banks. 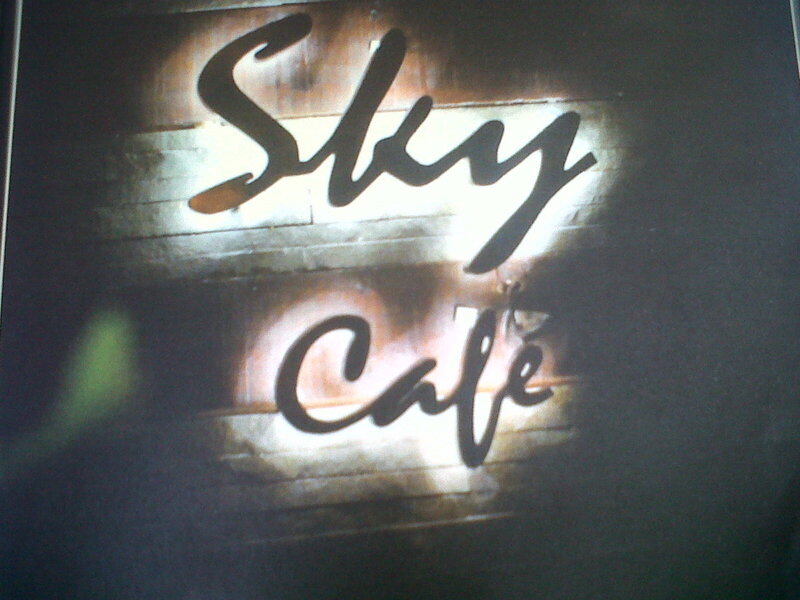 We finally reached Sky Cafe, opposite Sterling Cinema. which had a beautiful patio kind of seating arrangement. As we were deciding if it was a good idea to sit there in this hot weather the light breeze blowing amidst the stone buildings convinced us that it was a perfect day for Sky Cafe. The menu was simple with salads, soups, sandwiches, pastas, risotto continental and oriental spread. We had Grilled Fish in lemon mustard sauce, Parmesan crusted chicken on a bed of tossed penne, and Pan roasted chicken roulades tossed greens and sage onion gravy all served with grilled Focaccia. 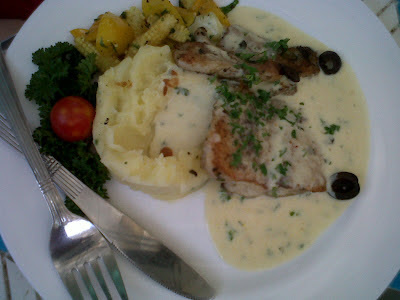 The fish was fresh and moist and was perfectly complemented with the lemon mustard sauce. 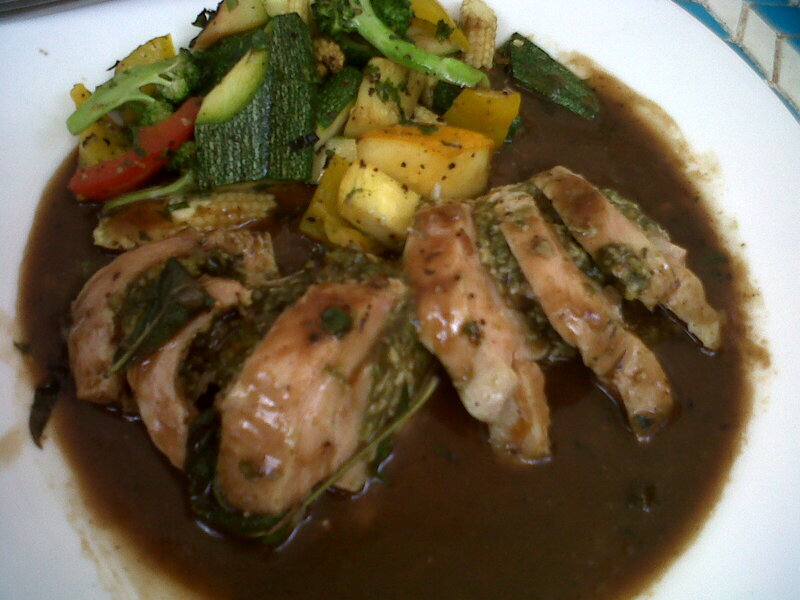 The chicken roulades were stuffed with some sage and cheese and the caremelised sweet taste of the onion gravy completed the dish. 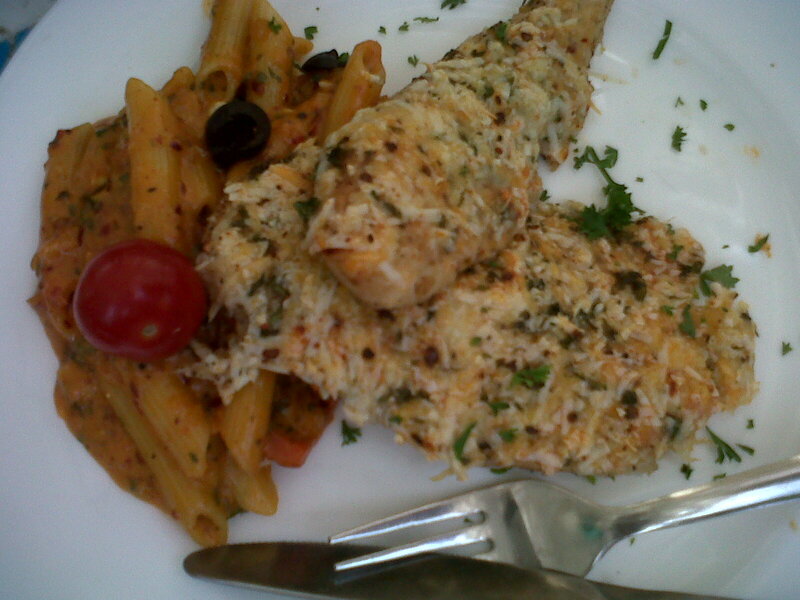 The Parmesan crusted chicken was missing a sauce which the pasta could not replace. We summed up our meal with a helping of angel cake and apple pie served with ice-cream. The apple pie was perfect with the right dose of cinnamon and could do better with a helping of fresh whipped cream instead of ice cream. We felt ‘tripti’ ('content' in Bengali – learnt it from my bengali friend, trust me they are an infectious lot! in a good way ofcourse..). Sky Cafe is worth a try for those who love continental cuisine. Watch a movie at Sterling (definitely not the current screening - ‘Rowdy Rathore’ ) and dine at Sky Cafe, a perfect ending to a lovely romantic evening. Looking forward to next Friday.